Wouldn’t you agree that the right lighting can affect the mood of an entire room? 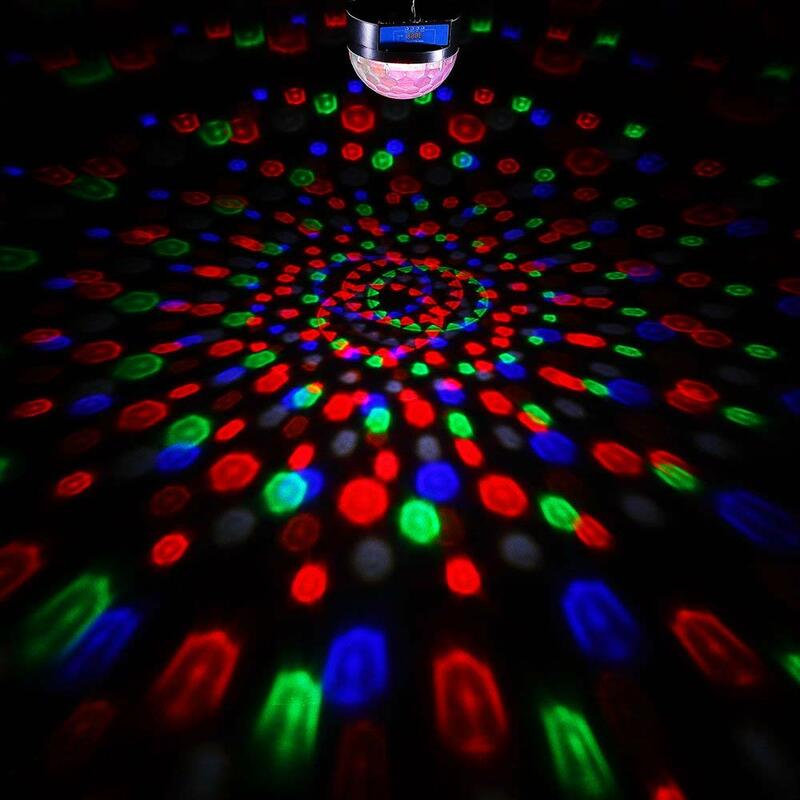 Colorful lights put you in a chill, party mood,If your experienced with dance light. This magic ball can absolutely shock your eyeball with a colorful lighting. High brightness, colorful and romantic lighting effect, which is ideal for Discos, Parties etc. How Do LED Magic Ball Light work? Secondly, press the MENU button to select different working modes: Automatic Mode, Sound Control Mode, DMX 512 Control Mode.There are 5 light color: Red, Yellow, Green, White and Blue. If you turn it to sound control mode, the mode display will show S1 and S2, while it means Sound Control Mode. What is DMX 512 Control Mode? What makes 1byone’s LED light different from others is the fact that you can also use it as a Bluetooth speaker. Yep, you heard right. Play your music through your magic light! You can even have some fun with it and sync the speaker to make the light dance with your music. Definitely, the perfect way to get a party started! It's mini size and easy to use. You can put it anywhere or hang it without using much area. Small and exquisite in appearance and can be easily installed.. With FCC and RoHS approval, ABS and SPCC environmental materials, you can count on us for a safe & reliable quality. 1byone magic starlight effect indoors creates a romantic atmosphere for lovers and popular cosmos star projection lamp. It will not only give a wonderful universe to your children, but also create a romantic surprise for lovers!